If the above email hadn’t come from a friend, I probably would’ve deleted it. However, I was concerned that maybe an address book or email account had been compromised. Given the number of security breaches, this wasn’t out of the question. There are a number of ways to investigate emails and URLs, but here’s my process based on what I could see without opening the email. As a policy, I don’t open these type of emails. I’ll either do the research or send an email back to my friend asking them if they sent it. At this point, I just see my friend’s name, but not his full email address. Many email applications, like Gmail, show the full address when you hover over it. Another clue is my friend Vassi doesn’t have his picture show as normal. Instead, this email used the generic blue icon. In this case, I can see the domain (which was originally a design studio that I changed) is not related to my friend, which is reassuring. At this point, my heart goes out to this design studio as their domain has been used. I too get people fraudulently using my domain in emails. it’s difficult to explain to people I didn’t send it. Anybody can spoof that part. In the email preview, I can see a short URL is used. I like URL shorteners, but people can also link them to nasty stuff. If you’re not familiar with URL shorteners, they are services that can take a very long URL and provide a much shorter one along with analytics. There are a number of companies that provide this service ranging from Bit.ly to Google. Google has announced they are shutting down their URL service to new users on April 13th, 2018. 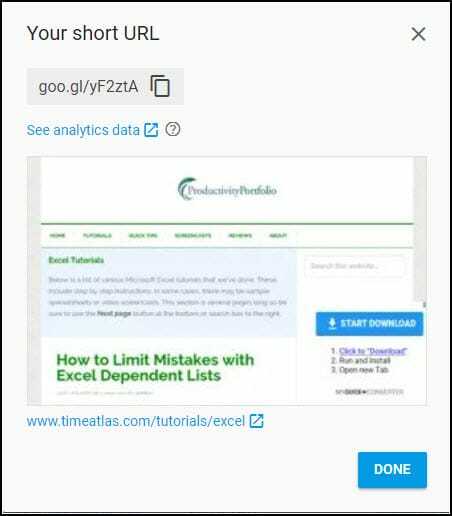 For example, if I wanted to create a short URL for my Excel tutorials section, I would simply enter in the regular web address into the service. In this case, I’m using Goo.gl. After I click the SHORTEN URL button, I get the new web address. Even though this process is easy, you can see it did take a little bit of time. This raises the question of why would my friend use this service instead of copying and pasting the full URL. One reason might be they copied it from another email, but many people just forward that email. However, if you pop in a short URL in various security scanners, you might get an error like this one. You also don’t see where the URL would go. This can happen for a number of reasons such as the expanded URL has unrecognizable characters or parameters. And some services just don’t like short URLs. The better solution is to find to find the full expanded URL. The good news is there is a service that can find the expanded link and test. 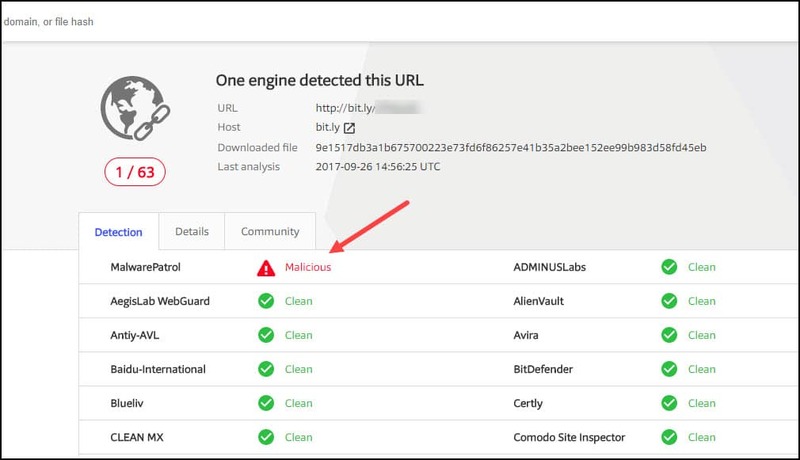 It’s called VirusTotal. At this point, I’m pretty sure this is a page I don’t want to visit. If I click the Details tab, I can see the full domain and a reference to bannerfarm.php. This makes me think it’s some sort of system to inject ads or worse. 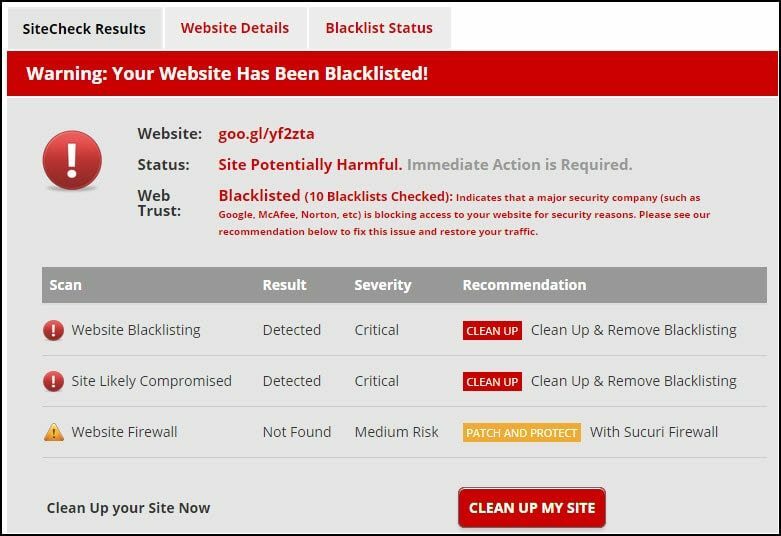 Although this suspicious email used a short URL, you can use VirusTotal to check any URL.